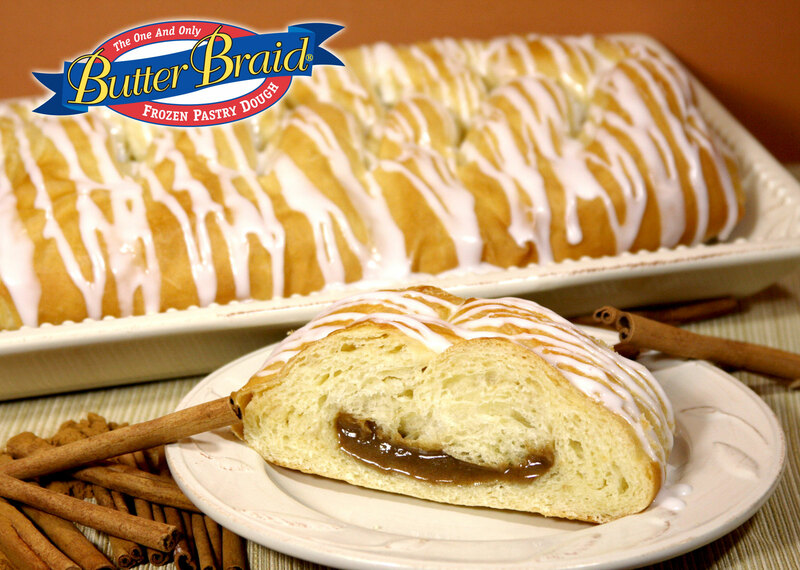 Please get Butter Braid orders in as soon as possible. The last day to turn them in will be this Friday (Dec. 1). 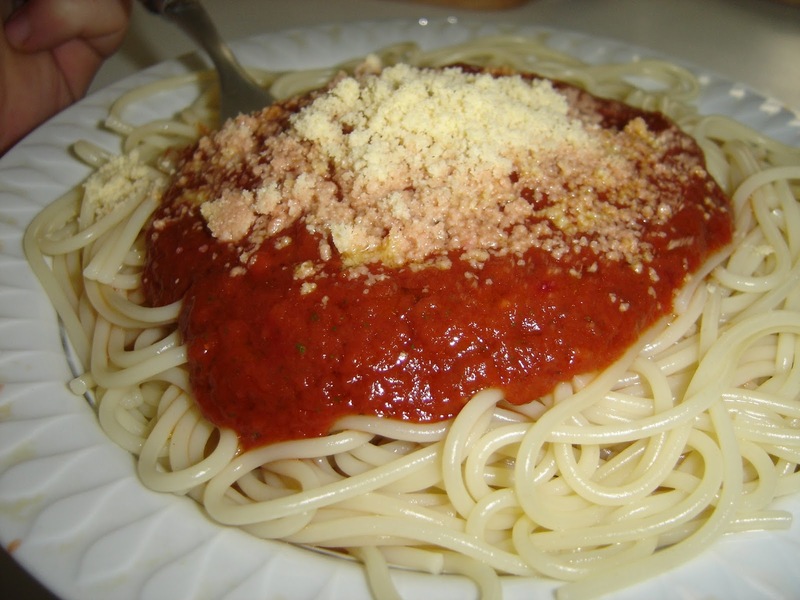 Don't forget that students (or their parents) must pick up their order after school on Thurs. Dec. 14th between 3:30-5:30 pm. Students orders will be bundled and packaged together, so it is not possible to sort out individual customer items. 1. 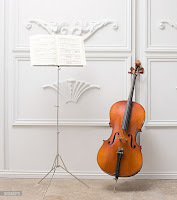 Cello players MUST bring their instruments from home! 2. Everyone should bring a folding stand for the rehearsal (all black stands will be on stage). Please see the attached documents with some preliminary information for students who are participating in the ILMEA District 3 orchestra. Even though Olivet has said they will provide stands for students, we are still asking students to bring a folding stand. Dress for the concert will be "nice clothes" (no jeans, tennis shoes, etc. - "shirt and tie" is about the appropriate level). Bus leaves NCHS at 6 am - plan on being 10 minutes early!!!! Dress: Orchestra T-Shirt (arriving this week) and jeans. 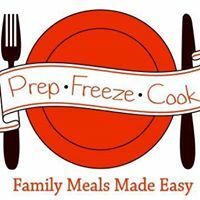 Don't forget that all Prep Freeze Cook orders are due on Monday (Oct 6). All checks should be made payable to Prep Freeze Cook and please make sure that all of your customers are aware that they must pick up their product on Nov. 16 at the Prep Freeze facility on Oakland Ave. between 12:00-7:00 pm. 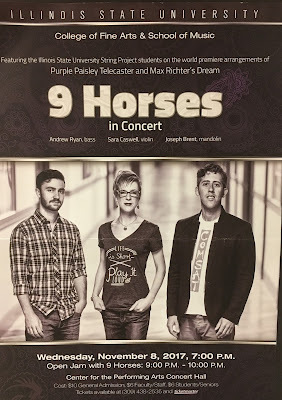 The string group 9 Horses will be in concert at ISU on Wed. Nov. 8 at 7 pm. 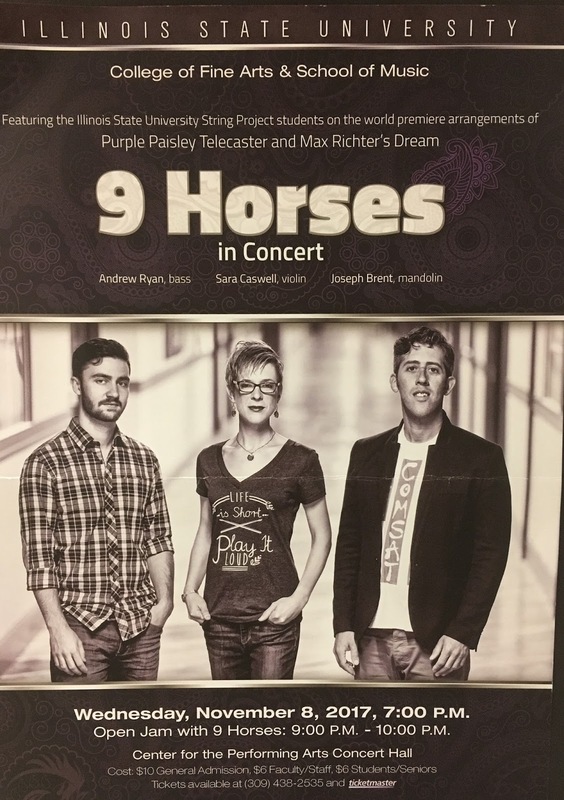 Illinois State University's String Project has offered area string students one free ticket to the event. Please email Mrs. Siebenthal asap if you would like to take advantage of this great opportunity and she will provide you with the contact information. There is also an improv masterclass that is free and open to the public. See Siebs for more details if interested! Prep Freeze Cook checks should all be made payable to "Prep Freeze Cook", the previous blog update has been corrected to reflect this error.